The skin rejuvenation process is defined as a process that takes place to attempt the reversal of visible signs of aging. 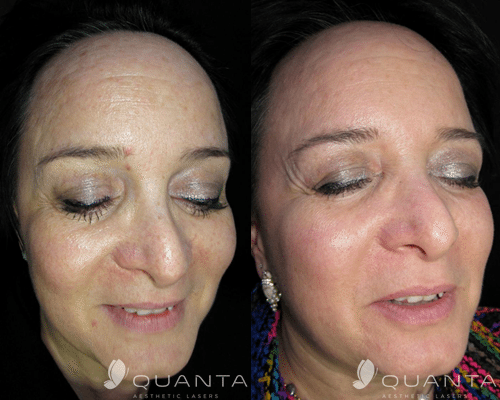 Here at ReGen Laser we use the Quanta Forte Erbium Laser. Not only can the erbium laser work on the face but we are also able to treat the hands, neck, and chest. One of the benefits of erbium laser resurfacing compared to the CO2 laser is minimal burning of surrounding tissue. 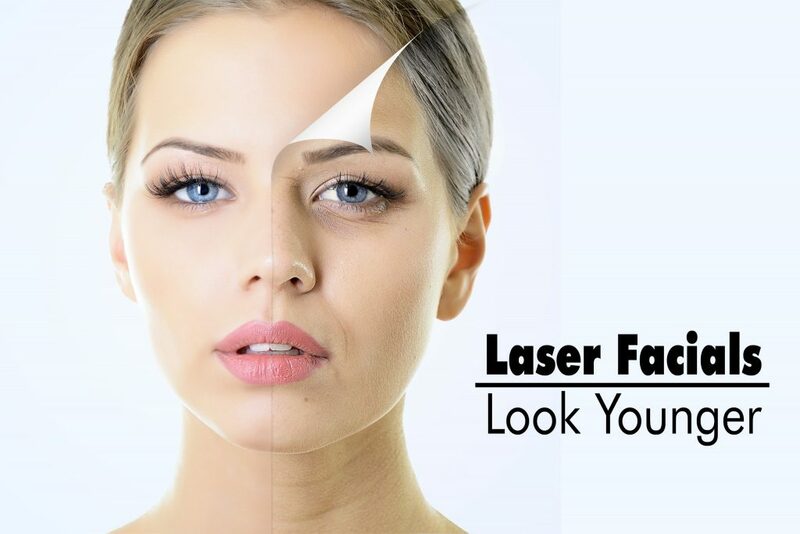 This laser causes fewer side effects -- such as swelling, bruising, and redness -- so your recovery time should be faster than treatments with CO2 laser resurfacing. In most cases, recovery takes 5 to 7 days. Tell your technician if you get cold sores or fever blisters around your mouth. Laser skin resurfacing can trigger breakouts in people who are at risk. It is normal for the treated area to feel like a sunburn for a few hours. You should use a cold compress as needed. You may also expect to experience redness and /or scabbing within the treated area for five to seven days. Avoid bathing with very hot water, strenuous exercise, and massage for 2–3 days post laser skin care treatment. Wait at least 12 hours (next morning) to wash your face. Cleanse your face with a mild cleanser such as Cetaphil. Use the cleanser for the duration of the healing process. DO NOT use any scrubs or irritants such as Retin-A, Benzoyl Peroxide or any astringents. Skin always should be patted dry and NOT rubbed. DO NOT PICK OFF SCABS. This may cause scarring. Apply Aquaphor on the treated area (avoid getting inside the eyes) a few times a day to keep the skin well moisturized. Leave the Aquaphor on while sleeping, and steam in the shower the following morning. Starting on day 4 you can use a warm wash cloth in large, gentle circular motions to remove the ointment. Remember – DO NOT SCRUB. Avoid use of any other moisturizing products (lotions, serums, liquid sunscreens, etc.) for at least 5 days. Using these products will prevent your skin from peeling and may hinder the full benefits of the laser skin rejuvenation process. Makeup should not be used for at least 5 days post treatment. Most makeup is moisturizing, which can sometimes prevent the peeling process. If makeup is absolutely needed, we recommend using new makeup to reduce the possibility of infection. Avoid direct sun exposure and tanning beds for at least 1–2 months post treatment in order to reduce the chance of dark or light spots. A powdered mineral makeup can be worn during the healing process as a sunscreen, but make sure the makeup is new and the brush is clean. Sun exposure delays the healing process. Sun exposure can cause damage to the healing skin and cause undue pigmentation and textural changes that may be lasting. Smoking increases the risk of post-surgical complications. DO NOT smoke for 48 hours prior to and at least 7 days after the treatment, otherwise healing time may be prolonged. Avoid tweezing, waxing, bleaching or chemical peels during the course of the healing process.